Fixed mortgage interest rates for Ocean Isle NC real estate continue to hover at record lows. Interest rates had fallen further when the Federal Reserve said it would shuffle its holdings to drive down long-term interest rates. Interest rates on a 30-year, fixed-rate mortgage hovered near 4 percent for the third consecutive week, remaining at 60-year lows, according to Freddie Mac. An average 15-year fixed-rate mortgage also slightly increased to 3.31 percent last week, down from the prior week’s 3.3 percent. 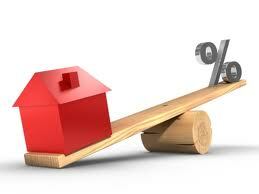 A drop in mortgage rates could provide some help to the economy but only if more people would refinance. The thinking is that when people refinance at lower rates, they pay less interest on their loans and so they have more money to spend in general, thus boosting the economy overall. But many people aren’t spending that money – choosing to hold onto it instead, mostly out of fear of what the future will bring. Many people reluctant to refinance just aren’t aware that 100% of their refinancing (closing) costs can be wrapped back into the new loan amount resulting in zero out of pocket expense to refinance. Plenty of homeowners have already refinanced in the past year. Last year at this time, the 30-year, fixed-rate averaged at 4.39 percent. Freddie Mac spokesman Chad Wandler said the recent interest rates haven’t been so low for at least 60 years since long-term rates began being recorded. There’s no reason not to purchase Ocean Isle NC real estate available at this time. With low prices and record low interest rates, this is the time of a lifetime. If you can find a way – do it. Ocean Isle NC real estate is surrounded by an abundance of amazing natural beauty, with championship golf courses near, and the vast Atlantic Ocean just steps away. It’s a wonderful place to visit and an even better place to live.